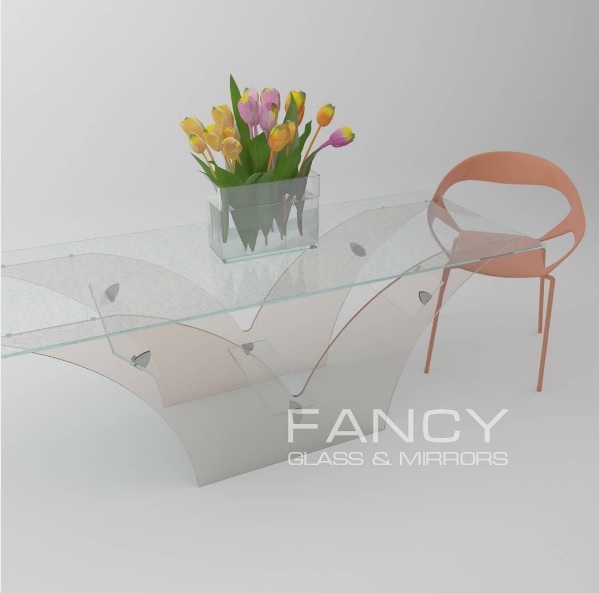 This Phoenix Glass Dining Table has a unique shaped base and a thick glass table top. The leafe looking pieces are made with the help of modern high-jet cutting equipment that allows to get perfectly cut and polished glass edge. No matter where you put it, in the dining room or lobby area, this coffee table will be the viewpoint of the place.